Who: Open to students ages 3-6 and their parents (at least one parent must attend the workshop) who have little or no prior music experience. What: Looking to start lessons, but aren’t sure which instrument to pursue? Come explore piano, violin, and guitar with our three Suzuki instructors at Music Lessons Express! A free month of Suzuki group classes is included with registration and attendance. No instrument rental required. A two-day immersive workshop designed for students interested in guitar. Who: Open to students ages 3-6 and their parents (at least one parent must attend the camp) who have little or no prior violin experience. 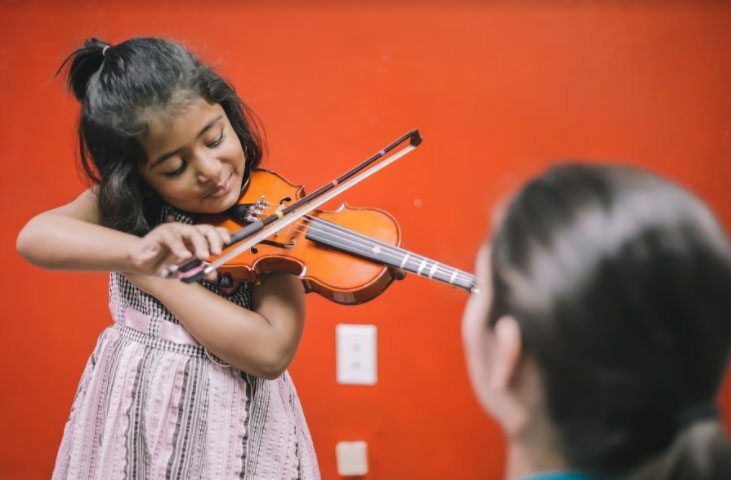 What: This two-day workshop is designed for students and parents who want to jumpstart their violin-learning journey and intend to continue Suzuki violin lessons at Music Lessons Express. 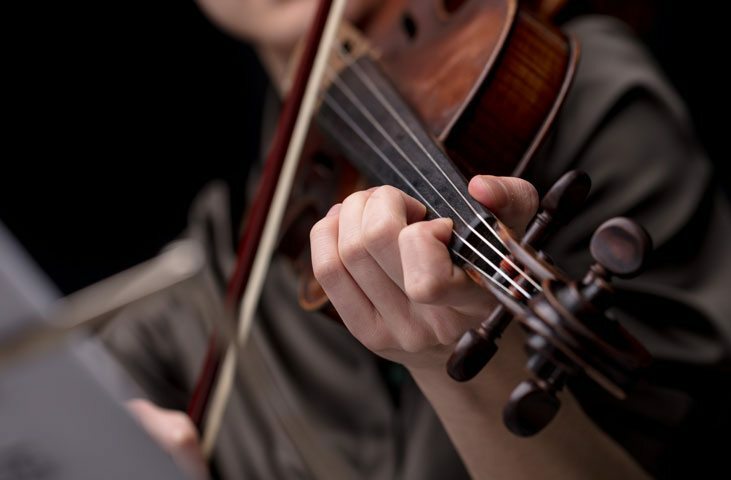 Ms. Erin and Dr. Taylor will guide students through violin fundamentals including posture, first rhythms, ear-training, and familiarity with the instrument. No instrument is required to participate. Who: Open to students ages 5-9 and their parents. Parental attendance is strongly encouraged, especially for younger students. Cost: $50 per student What: This two-day workshop is designed for students in Suzuki Violin Book 1 (students must be able to play a minimum of Twinkle Little Star). Ms. Erin will guide students through the instrument technique, ear-training, and music theory necessary for successful early violin playing. Students must bring a properly-sized violin in working order for this workshop. This week long workshop allows students to perform in a rock band, learn how to improvise, study theory and more. 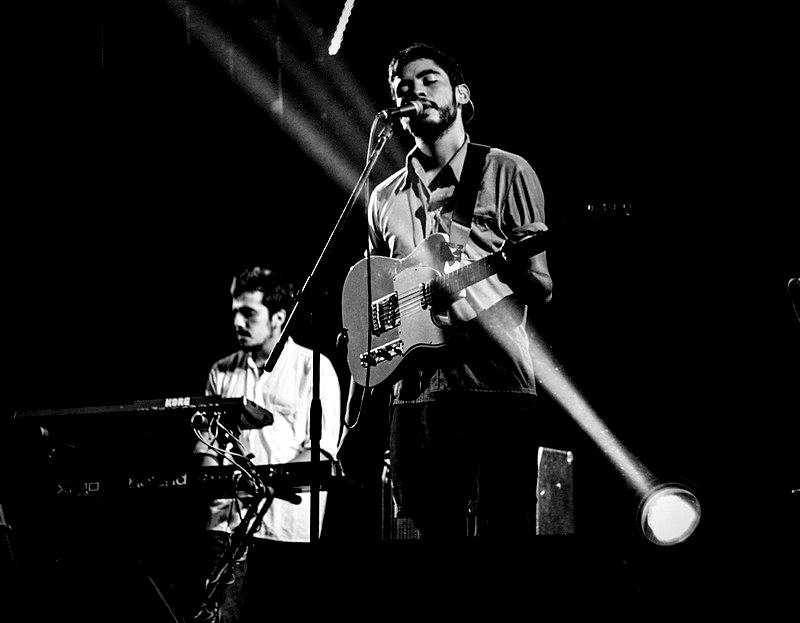 The program ends in a concert showcasing the students performing rock and blues music. Students should have basic proficiency on piano, guitar/bass, drums, or vocals. Who: Open to students ages 12+ with at least 2 years instruction on their instrument or a teacher recommendation. What: Jam out at our summer Rock Band Camp 2019! Students will hone their music skills through small ensemble coaching, daily lessons, and jam sessions led by local performers. Students must provide their own instrument except for keyboard and drums. Instructors: Lyndon Thacker, lead instructor, Christopher Minami, coach, Alaundre Jefferson, drum instructor, Yessenia Gallardo, songwriting coach. Who: Open to students ages 3-6 and their parents (at least one parent must attend the camp) who have little or no prior guitar experience. What: This two-day workshop is designed for students and parents who want to jumpstart their guitar learning journey and intend to continue with Suzuki guitar lessons at Music Lessons Express. 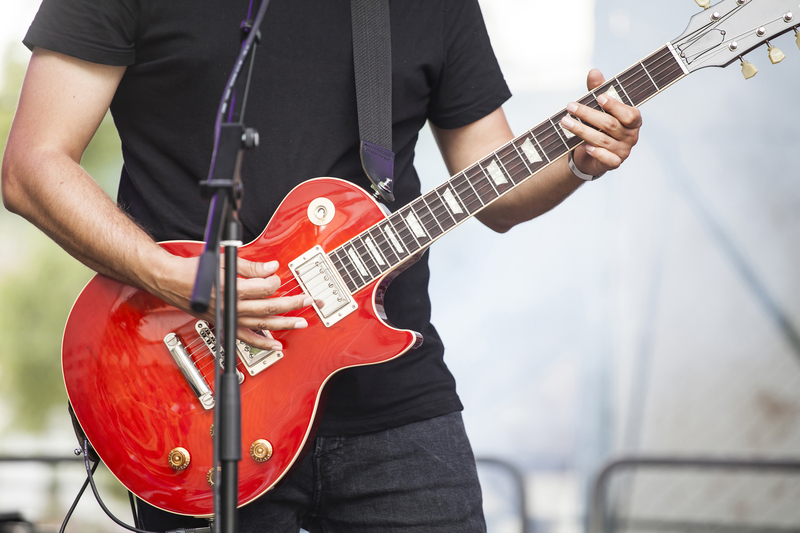 Dr. Ben will work with students and parents on guitar fundamentals, ear-training, and music games. Students must provide their own guitar for the workshop. Who: Open to students ages 12+ with at least 2 years instruction on guitar or teacher recommendation. Students younger than 12 considered upon teacher recommendation. What: This week-long workshop is designed for intermediate to advanced guitar students interested in improving their technique, playing in small and large groups, and learning music theory. Students must provide their own guitar for the workshop. Alaundre is a drum instructor and performer based in Crawfordville, Florida. He enjoys performing a wide range of styles including rock, funk, country, jazz, and gospel music. He is currently pursuing degrees in music education and performance from Tallahassee Community College. Ben is a longtime instructor at Music Lessons Express where he is currently the Program Director. He is a registered teacher with the Suzuki Association of the Americas and has completed six levels of teacher training with them, including the Guitar Practicum. He holds a DMA in guitar performance from Florida State University. Christopher is a recent addition to the Music Lessons Express studio, where he teaches classical and electric guitar, bass, and ukulele. He is currently pursuing a degree in guitar performance at Florida State University. Cody Switzer is a long-time instructor at Music Lessons Express where he teaches classical guitar and ukulele. He is the President of the Classical Guitar Society and Assistant Director of the Florida Guitar Festival. Cody is also a graduate teaching assistant at Florida State University, where he is pursuing his doctorate in guitar performance. Erin Heidrick is a violin instructor at Music Lessons Express where she teaches private violin lessons and PreTwinkle group class. She is a registered teacher and member of the Suzuki Association of the Americas and holds three levels of teacher training from them. Erin is a doctoral candidate in violin performance at Florida State University. Frank is currently a doctoral candidate in piano performance at Florida State University. He holds degrees in piano and electrical engineering from Notre Dame and is also a proficient organist. Frank is registered with the Suzuki Association of the Americas and has completed all seven levels of their teacher training. He holds additional training in piano pedagogy from University of Illinois. 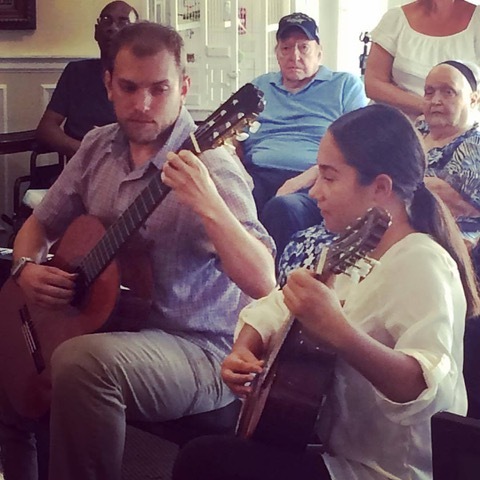 Jeremy is a longtime instructor at Music Lessons Express where he teaches classical guitar. He is currently a doctoral candidate in guitar performance at Florida State University and holds additional degrees in guitar performance and creative writing. Lyndon is a lifelong musician and keyboard, guitar, and percussion instructor at Music Lessons Express. In addition to teaching private lessons and rock band, he is an active performer in the Tallahassee music scene and can be seen playing with Garnet and Soul, Mind Medicine, and HighTest, among others.